Leading hotel group Accor, which manages nine hospitality brands in 92 countries, has recently released its latest Asia Pacific Business Traveller Research (APBTR) report. 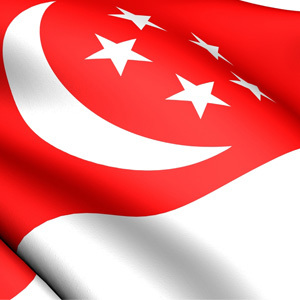 In it, Singapore has emerged as the most visited destination among business travellers in H1 2012 and will continue to stay on top for the rest of the year. According to the APBTR report, which analyzes the responses of over 2,500 business travellers based in Asia Pacific, is in its second installment this year. The report provides insights on the behavior as well as travel preferences of executives in the region. They are the biggest spenders, making purchases of approximately US$468 (S$582) per trip, well above the average spend of US$375. They also spent more than other travellers on accommodation, averaging US$156 per night vis-a-vis the regional mean of US$125 per night. 60% claim to work while in the hotel, resulting in 63% saying they prefer free Wi-Fi connection over factors such as location, loyalty card membership and price. This also makes Singapore executives the most industrious in Asia Pacific. Singapore company formation specialist Rikvin recognizes the top ranking as a win for Singapore against regional rival Hong Kong, with whom it shared first place last year. Additionally, it reaffirms how Singapore has top mindshare as the business gateway to Southeast Asia, and location for company registration. “Singapore offers many features that make it an attractive destination for MICE and business travellers. They include a sophisticated infrastructure, great flight connectivity, unique travel attractions, world-class hospitality options as well as excellent dining and entertainment variety. However, many of our clients were not business travellers but have either worked here or visited as tourists. They eventually decided to start a Singapore company after comparing their experiences here vis-a-vis that of doing business in other countries. Hence, we anticipate that travellers, whether on business or leisure, will continue to find Singapore as an attractive business destination for the longer term,” added Mr. Bakhda.